Choosing a name is one of the most important decisions a new band can make. And in this year of our lord 2018—when solid names like Car Seat Headrest and The String Cheese Incident are already taken—finding a really good name that will stand the test of time seems nearly impossible. Luckily, up-and-coming artists can depend on the wisdom of bands who have been there before. 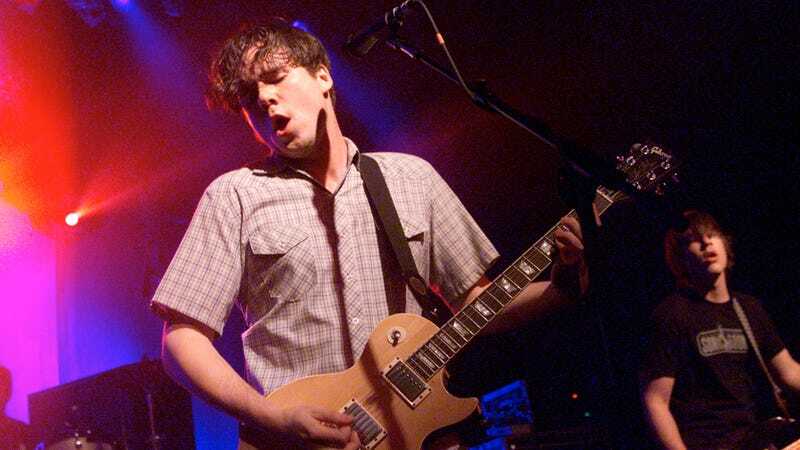 Bands like emo institution Jimmy Eat World, who recently took to Twitter to share the cautionary tale behind their own band name and it’s unfortunate acronym. Like a lot of bands, Jimmy Eat World came up with their name in the mad scramble before their first official live show. They didn’t have any inclination that that name would survive beyond that night, let alone be printed on stickers, t-shirts, and album covers for years to come. If they did, they probably would have spent more than five minutes deliberating and considered the fact that printing “J.E.W.” in large letters on a mix CD isn’t a great look.